If you live in Texas, having a house with a Pool is quite great and some might argue that they're a necessity! In fact, I'm one of those people who argue that Pools are a MUST if you live in Texas since our summer heat is no joke! But let's be real ... 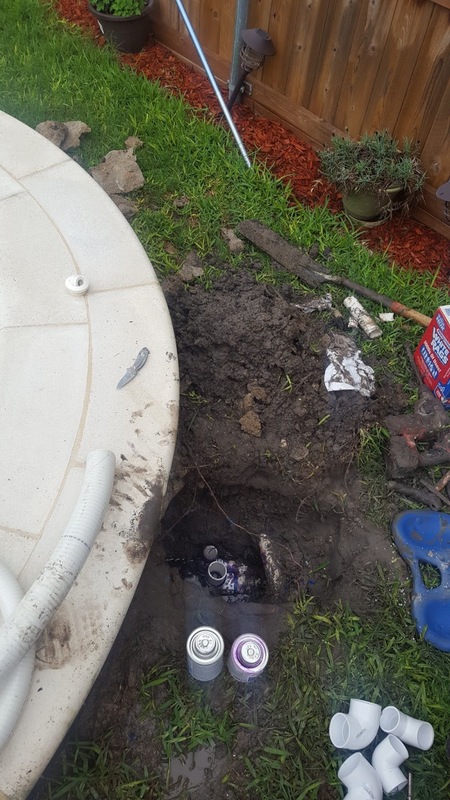 Pools are great, until there's a problem :| As a home owner with a pool I am all too familiar with this stressful feeling ... we must not only be vigilant with our house foundation but also our pool. 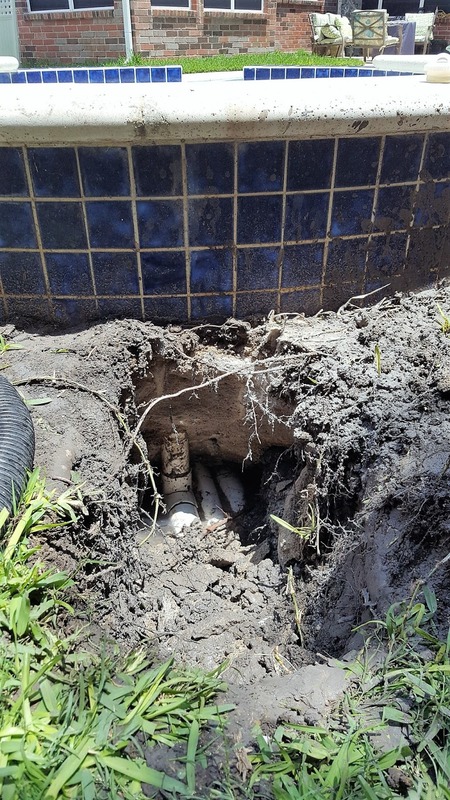 The same clay soil that causes "foundation" issues for homes in the DFW area is the same that causes issues with the piping for pools. If you're in the DFW area, and have the unfortunate stress of thinking you might possibly have a Pool Leak, then please let me recommend our "go to Pool Repair Heroes", ON THE SPOT! I have personally used them for both Pool Repairs & Peace of Mind. They come out and do a Ultrasonic Leak Detection Test which will either ease your worry and concern or will pin point the area of the leak. Their equipment along with their intuitiveness from years of experience is bar-none! We noticed we were losing more water than usual so we did our usual "tape on the wall" test and the "bucket" test. While we were doing those tests, my husband noticed the ground by the hot tub was mushy ... so he dug a little hole and it filled up with water! Eeeeeek ... we no doubt had a leak! So he calls and sends an email to Candy at ON THE SPOT, but it's a Sunday so the stress really intensifies because we know that most Pool Repair companies are booked during this time of year and typically aren't able to come out for a week or 3. To our surprise, within 15 minutes of the email being sent, we received a call from Candy telling us that they'll be there first thing on Monday, as in, the very next day! The repair technician who came out, Dakota, was AWESOME! He found the problem from the hole we dug and did the Ultrasonic test to make sure we didn't have any other leak areas, which thankfully we did not, he walked me through the issue as well as the repair options we had along with the pricing for each. He made the repair and patched back the grass which was torn apart to access the busted pipes. Thinking he was done, I went to the driveway to meet him however, he was actually in the backyard with a Broom sweeping all the mud and gunk off of the pool decking AND then got our Skimmer Net to clean out debris that got in the pool! Dakota was thorough in his work and in his clean up!